Equestrians rare opportunity and first time offering, this beautiful and impeccably maintained home is situated on over a 4 acre lot with possible sub dividing. Large eat in kitchen leading into a large sun room overlooking the the private back yard and stable. Finished basement with wood burning fireplace and bar. Heated 2 car garage NEW septic system. Private back yard with a 22x26 steel stand alone garage w/ 50 amp service and 30x36 4 stall drive through horse barn 30 amp service with water. 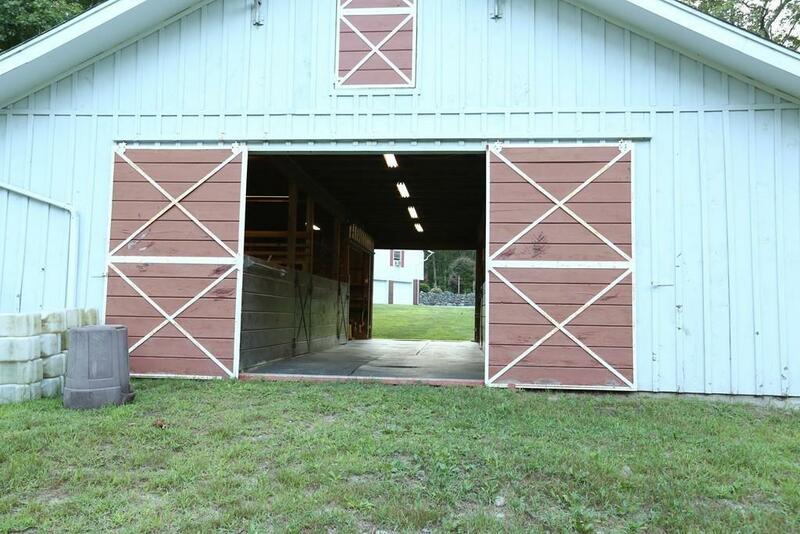 Barn includes 3 well lit paddocks and ring. Beautifully landscaped yard with year-round evergreens, perennials, shrubs, trees and flowering beds.